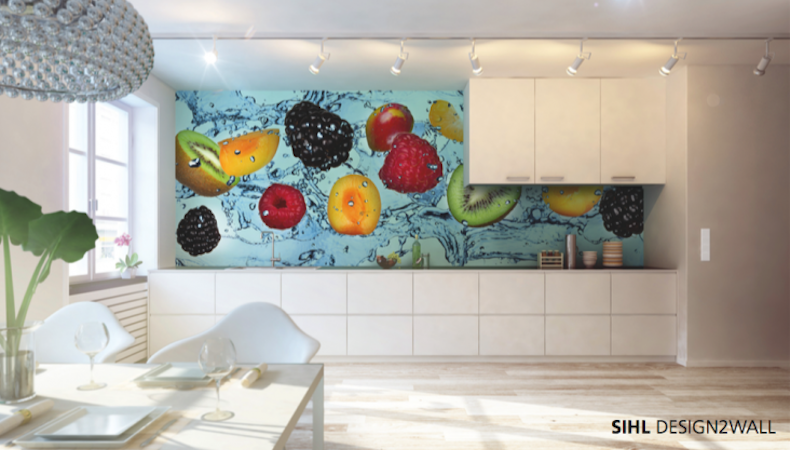 Sublimation equipment supplier Sabur Digital has signed an agreement with substrate manufacturer Sihl for the distribution of its Design2Wall range of wallpapers. Signed in April, the open-ended agreement will see Sabur Digital, a division of Sabur Ink Systems, stocking Sihl’s digital printable wallpaper range Design2Wall in its Barnsley warehouse and offering next-day delivery across the UK and Ireland. The company is said to offer the largest range of sublimation papers in the UK, alongside a wide range of sublimation inks suited to every printing job imaginable. The partnership with Sihl comes at a time of growth. Launched in 1998 as Sabur Ink Systems, the business until a few years ago has focused on consumables but to reflect a growing involvement in machinery sales, with clients such as Roland Mimaki, DGI and Kornit on its books, the firm created its Sabur Digital division two years ago, into which its new wallpaper offering will go. This new partnership helps solidify the company’s reputation for excellence, as Sihl were at the heart of the digital printing revolution, committed to driving printing progress forward. Their Design2Wall range features printable digital wallpapers providing exemplary resilience to damage of all kinds and superior performance under even the most trying of conditions. With vivid colouration, the range is ideal for high-performance areas where a simple coat of paint or conventional wallpaper simply will not do. “We are very excited to be working in partnership with Sihl on their Design2Wall range of printable wallpapers. This is a rapidly growing market sector and Sihl as a company have an excellent reputation for quality products,” says digital development director Aaron Burton. "With a range of wallpapers to choose from, the Design2Wall collection by Sihl represents a new frontier in digital printing, and naturally, Sabur Ink Systems will be there to help drive this change forward into the bright future of the printing industry." Burton concludes.